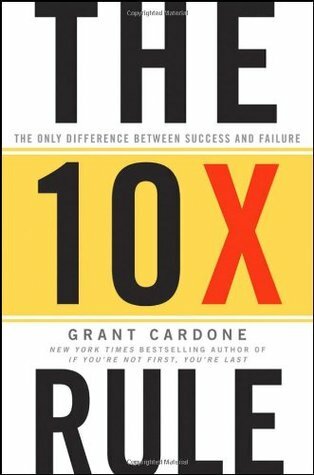 The 10 X Rule unveils the principle of "Massive Action," allowing you to blast through business clichZs and risk-aversion while taking concrete steps to reach your dreams. It also demonstrates why people get stuck in the first three actions and how to move into making the 10X Rule a discipline. Find out exactly where to start, what to do, and how to follow up each action you take with more action to achieve Massive Action results. Learn the "Estimation of Effort" calculation to ensure you exceed your targets Make the Fourth Degree a way of life and defy mediocrity Discover the time management myth Get the exact reasons why people fail and others succeed Know the exact formula to solve problems Extreme success is by definition outside the realm of normal action. Instead of behaving like everybody else and settling for average results, take Massive Action with The 10 X Rule, remove luck and chance from your business equation, and lock in massive success.